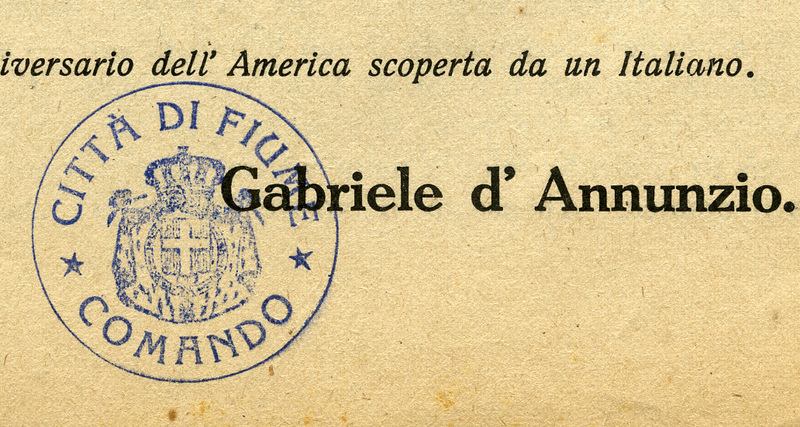 An Italian poet, journalist, novelist, and dramatist, Gabriele D’Annunzio enjoyed a flamboyant career in international affairs after the First World War when he raised a small army and seized the port of Fiume (now Rijeka, Croatia). Failing in his attempts to annex his territory to Italy, D’Annunzio reigned as Duce over the micro-state for over a year before being forced to relinquish control. The fifteen imprints comprising this collection of scarce broadsides, all printed in the short-lived Free State of Fiume. During the brief period of his reign in Fiume, D’Annunzio issued propagandistic broadsides, proclamations, and leaflets almost daily, often distributing them by airplane drop over the city. Included is a rare first edition of D’Annunzio’s most famous piece from the Fiume period, Italia e vita. Famous Long Ago launched the literary career of Raymond Mungo with a splash, but even before the book had reached the shelves, he turned to his next project. In October 1969, Mungo began planning for a memoir of his life at the Packer Corners commune. 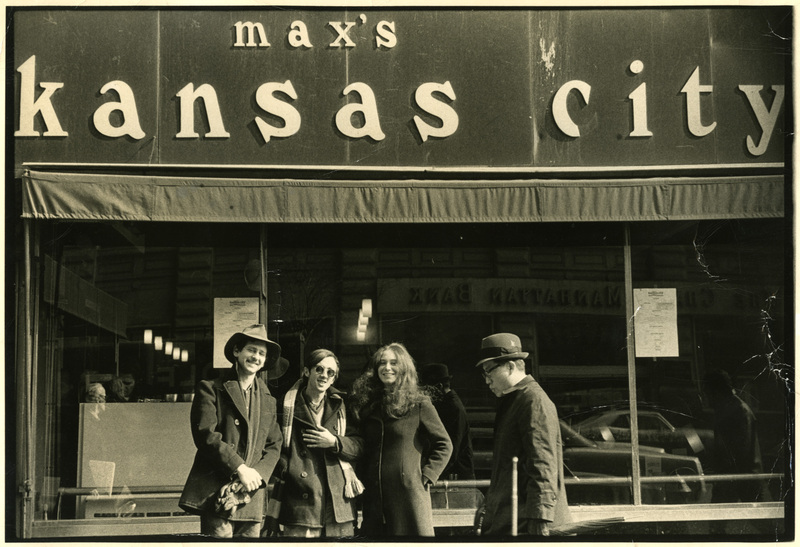 Soon entitled Total Loss Farm, the book would become a classic in the literature of the 1960s counterculture. Signing a contract in November with E.P. Dutton, he worked with a young and sympathetic editor, Susan Stern (later Susan Dalsimer). This small, but rich collection consists of a series of letters between Raymond Mungo and his editor at E.P. Dutton, Susan Stern, regarding his ideas on writing and life. Beginning in October 1969 with editorial commentary on Famous Long Ago and Mungo’s additions, the Dalsimer Papers offer insight into the development of Total Loss Farm from concept to printed page. Situated in the northeastern reaches of the Swift River Valley in western Massachusetts, Dana was one of four towns inundated in the 1930s to create the Quabbin Reservoir. Rural and relatively sparsely populated, Dana’s economy centered on agriculture, leavened with manufacturing wood products and soapstone quarrying. 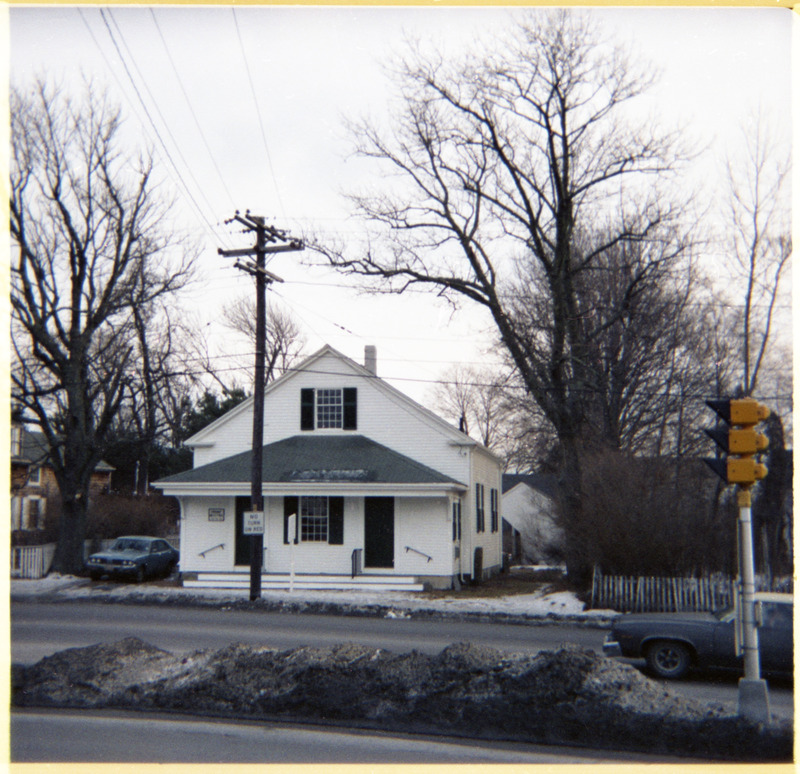 The Dana Collections include a comprehensive records of town meetings from incorporation through disincorporation (1801-1938), plus rich records for the Congregational Church and its affiliate organizations, the Ladies Aid Society, the Orthodox Congregational Society, and the Young People’s Society of Christian Endeavor. Most of the materials listed in this finding aid are held at the Swift River Valley Historical Society in New Salem, Mass., and were part of a cooperative digitization project centered on the records of the Quabbin towns. Located in South Dartmouth, Mass., the Dartmouth Monthly Meeting is one of the oldest Friends meetings in the United States, having been founded by Quakers seeking a haven from religious persecution in nearby Massachusetts Bay and Plymouth Colonies. Private worship may have begun in area homes as early as the 1660s, with the Dartmouth Monthly Meeting formally established in 1699. Today, the Meeting has two distinct meetings: the pastoral Smith Neck Meetinghouse and the Apponegansett Meetinghouse. The records of Dartmouth Monthly Meeting are divided into two centers of gravity. First, the collection contains nineteenth century copies of the meeting’s early minutes (1698-1792) and vital records covering most of that period. Secondly, the collection contains to the meeting since the late 1960s, including minutes (1968-1989) and newsletter (1999-2005). The remaining records of the meeting — the bulk of them — were maintained by the Old Dartmouth Historical Society into at least the 1990s, although their present location is unknown. Separating from the main body of the Dartmouth Monthly Meeting in 1845, the Dartmouth Monthly Meeting became one the more successful Wilburite meetings, strengthened by the absorption of smaller peers including Westport (1850), New Bedford (1865), and Berwick (1881). In 1944, just prior to the New England Friends’ reunification, Dartmouth Monthly changed its name to North Dartmouth Monthly to distinguish itself from the Dartmouth Monthly Meeting situated in South Dartmouth. The relatively rich documentation for Dartmouth Monthly Meeting (Wilburite) begins with the meeting’s establishment in the separation of 1845 and continues through reunification as the North Dartmouth Monthly Meeting. This collection includes continuous minutes from 1845 through 1989 (including the men’s and women’s minutes), with less thorough records from the Treasurer and, for a brief period only, for the Ministers and Elders. The vital records are restricted to a single volume of certificates of removal. Raised in a Polish American family from Greenfield, Mass., Janina Smiertka Davenport was the epitome of a life-long learner. After graduating from Greenfield High School in 1933, Davenport received degrees from the Pratt Institute in Food Management and from the Franklin County Public School for Nurses (1937). In 1938, she began work as a nurse in the U.S. Navy, receiving two special commendations for meritorious service during the Second World War. She continued her formal and informal education later in life, receiving degrees from Arizona State University in 1958 and UMass Amherst in Russian and Eastern European Studies (1982). Davenport died in Greenfield in March 2002. 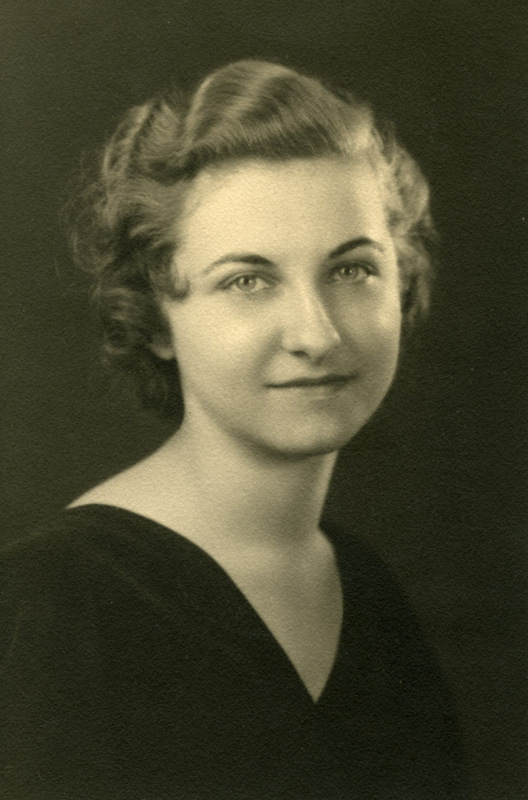 The Davenport Papers contain a thick sheaf of letters and documents pertaining to her Navy service before and during World War II, along with assorted biographical and genealogical data, materials collected during educational trips to Poland and elsewhere, and approximately one linear foot of family photographs and photo albums.